Our new series LED high power bulb is now available ! 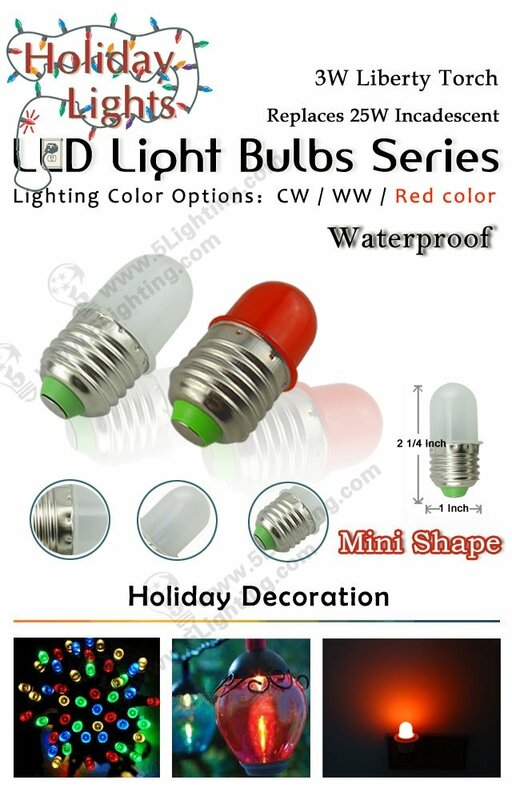 With Mini size, only 5.5cm tall, 2.5cm, the new LED bulb is 3W and easy to illuminate the room and decorating place. It could equally spot lumens as high as 25W incandescent bulb. The color temperature choices are warm white, cold white, and red color. With most cost-effective factory price, Im think this might be the one youre looking for for your home, holiday decoration !